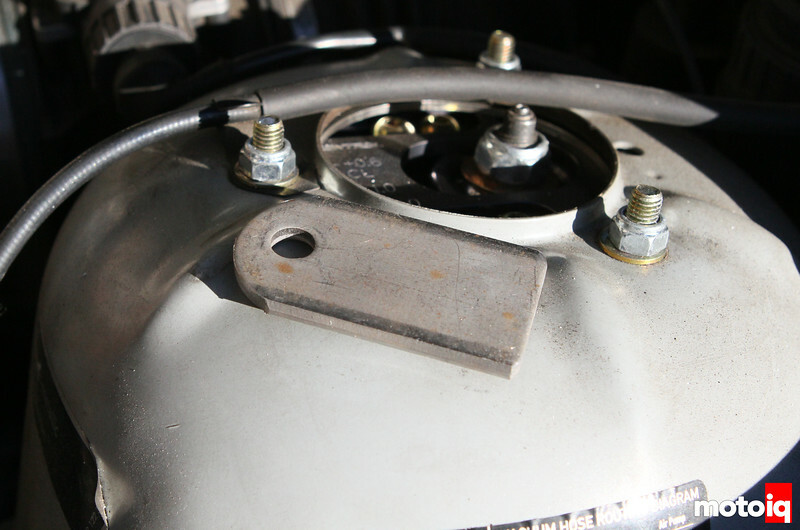 The Aerocatch hood latches come with a set of nuts that sandwich against the radiator support to locate the Aerocatch stud. Unfortunately the BMW E36 does not have much clearance on the top of the radiator support, so having a nut there will not let the hood close. Some fabrication will have to come into play to make things work. This plate will be welded under the radiator support and the tapped to the thread pitch of the stud.